This is the only picture I could find of Dexter McDougle (33). The Philadelphia Eagles announced that they have signed cornerback Dexter McDougle, who played for half a season with the Birds in 2017. To make room for McDougle, they waived/injured defensive tackle Destiny Vaeao. McDougle, who is listed at 5'10, 190, was a former third-round draft pick of the Jets out of Maryland in 2014, but has not been able to get on the field much. During his rookie season, McDougle tore his ACL, costing him the entirety of the 2014 season. In 2015, McDougle played in 14 games, mostly on special teams, registering six tackles. In 2016, he pulled a hamstring in camp, got released at 53-man cutdowns, and was later added back to the team during the season, appearing in six games. Last season, the Eagles traded safety Terrence Brooks for McDougle, and he appeared in 8 games before being released. Since then, McDougle has had short stints with the Saints, Jaguars, and Lions. 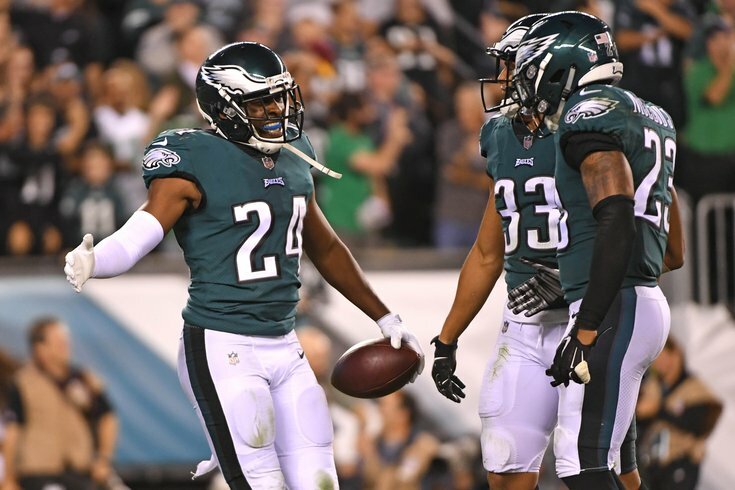 McDougle makes sense for the Eagles because he can play in the slot, where the Eagles are thin as they brace to be without Sidney Jones, who injured his hamstring against the Giants and was classified by Doug Pederson as "week to week." Vaeao's release doesn't come as a surprise, even though the Eagles are paper thin at defensive tackle. Vaeao was just a body on the Eagles' defensive line. In 157 snaps this season, he had 2 tackles and one gift sack.